Vote by Mail, otherwise known as Absentee Voting, is a service provided for registered voters who wish to vote in the comfort of their homes or for those who may be away from Putnam County. A mail ballot may be requested for either a specific election or for all elections through two (2) General Elections. For office information CLICK HERE. 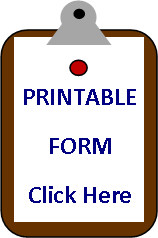 CLICK HERE for a printable Affidavit to Pick-up Vote by Mail Ballot for Voter. Vote by Mail (Absentee) ballots are NOT FORWARDABLE!!! Update your address to prevent any delivery delays. RETURNED MAIL will VOID your Vote by Mail (Absentee) ballot request. signed by the voter. 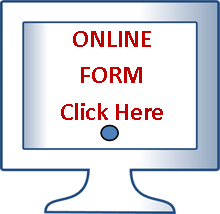 Use the Vote by Mail (Absentee)Request Form to include the alternate address in the "mail ballot to" section. than 5 p.m. on the 6th day prior to an election. PLEASE SIGN the Voter's Certificate on the back. Check the status of your Vote by Mail (Absentee) ballot. (English / Spanish) must be submitted no later than 5 p.m. on the day before the election. polling place to vote per Section 101.62, F.S. later than 7 p.m. on Election Day in order to be counted.